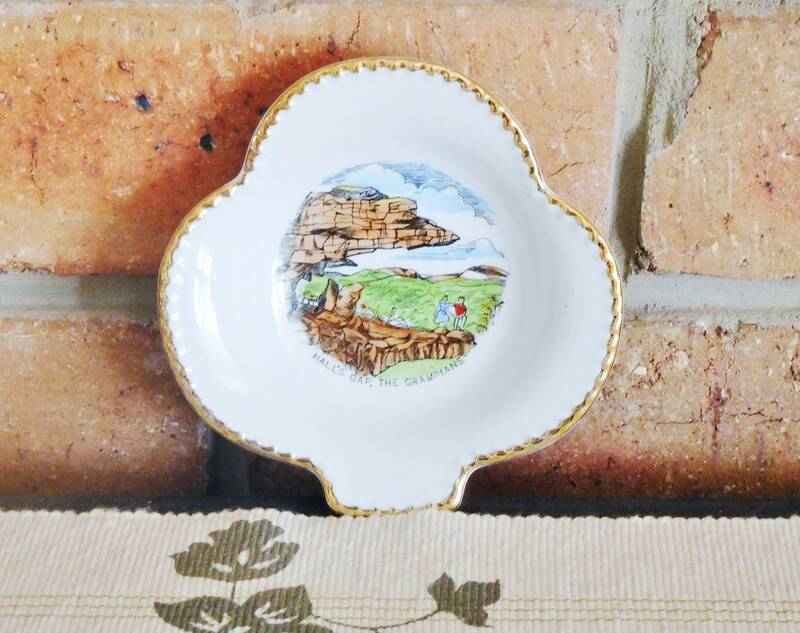 Westminster Australia 1960s vintage souvenir porcelain gilt edged pin dish featuring the enigmatic Halls Gap. 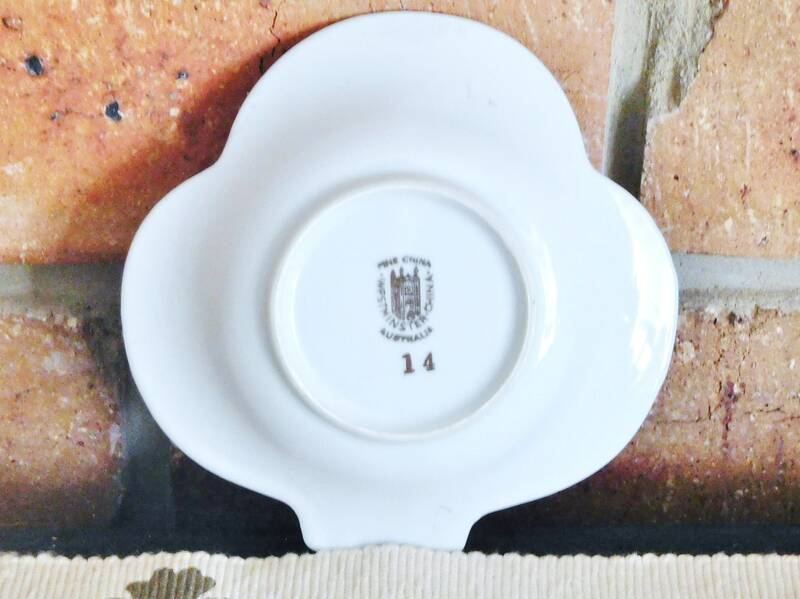 The shape is unique in its clover/shamrock style and its gilt edging makes it a highly collectable piece. It is in wonderful vintage condition.